On a quiet evening at edge of the Zambezi National Park near Victoria Falls, laughter could be heard echoing through the savanna. It was the sound of happiness in the bush, and of comedy records being broken. 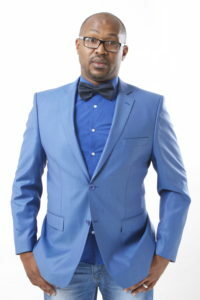 Ncube believes he has broken the world record for the most stand up performances in seven days – but is awaiting official confirmation from Guinness World Records. Ncube planned to perform 35 shows in 35 different venues in Zimbabwe and South Africa, but only managed 31, after a few venues let him down at the last minute. This was, however, still enough to break the existing Guinness World Record, set by Australian comedian Mark Murphy in 2007, when he performed 30 stand-up gigs in a week. The hour-long performance at the Victoria Falls Safari Lodge was Ncube’s biggest show, with part of the proceeds from this performance go to the Victoria Falls Anti-Poaching Unit. He had the audience in stitches, and we reckon most of the animals coming down to the Victoria Falls Safari Lodge waterhole must have been wondering what all the commotion was about. Perhaps a pack of laughing hyenas in the area?! Africa Albida Tourism group operations manager Andy Conn said the show was great, and that everyone there really enjoyed it. “We, at Victoria Falls Safari Lodge, were proud to be a part of this Guinness World Record event,” he said. Ncube said the show at Victoria Falls Safari Lodge equalled the world record, as it was number 30, and then he did one more gig after that which broke the record. He will compile his evidence for Guinness World Records, which included videos of his performances and press clippings, and await confirmation from the authority. Guinness World Records’ rules include each performance being given before a paying audience in receipt of printed tickets, in a recognised venue, and each gig being at least 30 minutes long. In the meantime, Ncube is due to perform in Uganda this week, and has decided to take a few days off there to holiday, and on his return to Zimbabwe, plans to spend a week in Victoria Falls “zoning out”. He’s always welcome at our lodge!